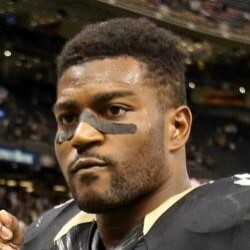 NFL Network's Ian Rapoport is reporting the San Francisco 49ers have released RB Tim Hightower on Friday. Now that Hightower is no longer with the club, the 49ers' running back depth chart is set entering the 2017 season. Carlos Hyde will open the year as the RB1, which is no shock. However, the surprise here is the emergence of UDFA Matt Brieda. Not only has he out-played Joe Williams, who was the perennial favorite to emerge as Hyde's handcuff, but he ultimately beat out the 2017 fourth-rounder for the job. Brieda is San Francisco's RB2. From a fantasy perspective, I wouldn't target Williams in any remaining fantasy drafts leading up to the season opener Thursday night. Moreover, if he is currently rostered, he's likely a back-end guy and could be dropped for Brieda, or another waiver wire player with upside.